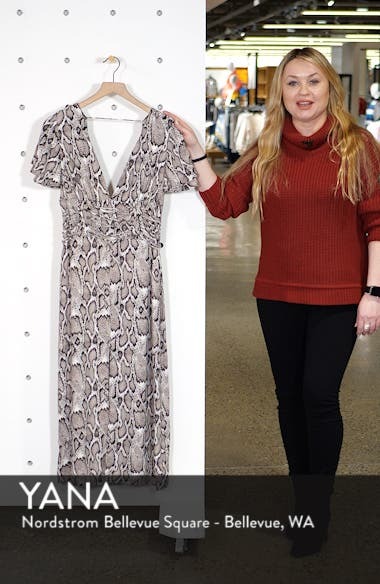 Untamably chic, this midi style in a lively animal print mixes cutouts and corset detailing, then softens the silhouette with flounced sleeves. Choose a sizeTrue to size. XS=0-2, S=4, M=6-8, L=10-12, XL=14.